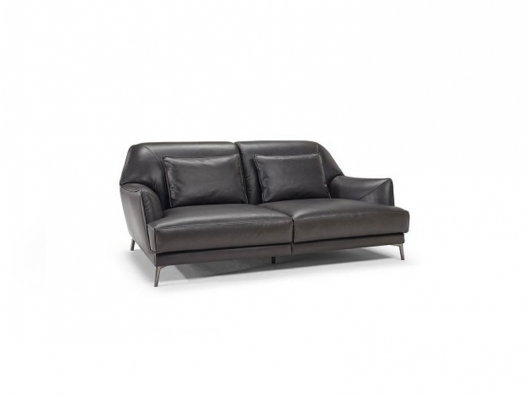 Designed by renowned Italian architect Claudio Bellini, romantic Don Giovanni is a modern sofa characterised by generously proportioned seats and unique comfort. 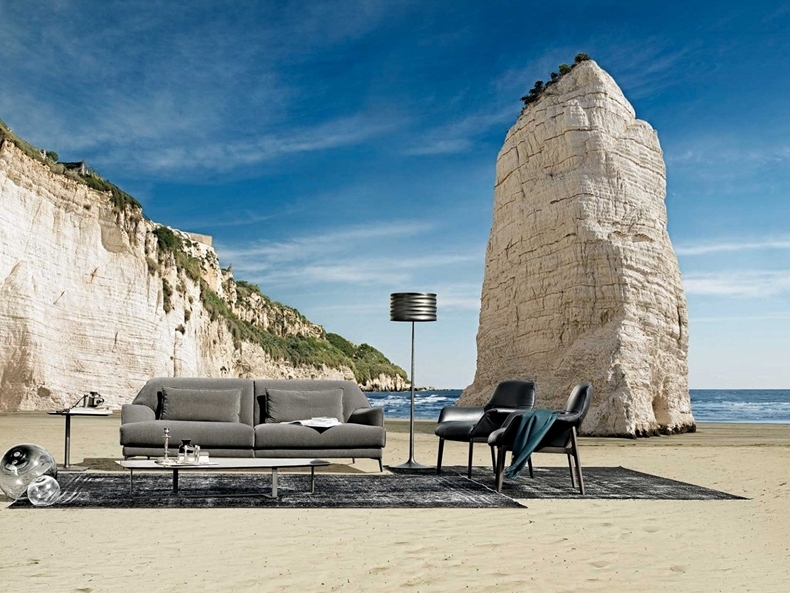 Its soft, sinuous shape and thin, sculptural armrests are enhanced by loose lumbar cushions. Cast metal foot for the added touch of style. Seat cushion is loose and includes a layer of memory foam, a pressure-sensitive soft polyurethane, that recovers its form completely for ultimate style and comfort. The padding also incorporate a layer of 100% goose feathers to ensure luxurious comfort.